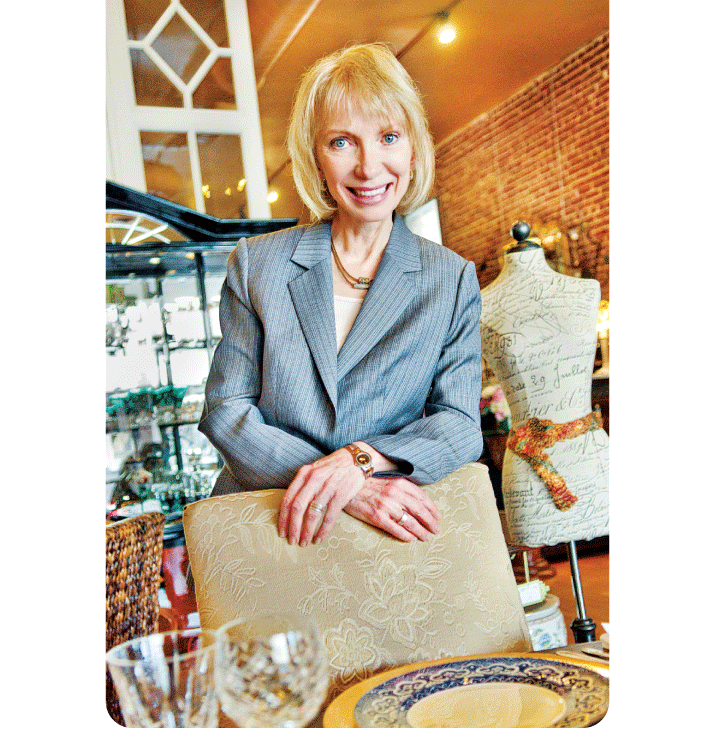 Candace Smith shares the fine art of etiquette with clients of all ages. Identifying with the struggles of learners everywhere, Candace teaches others how to easily navigate through a multi-course dinner, cocktail conversations, social introductions and more. Old Towne resident Candace Smith never felt entirely confident in social settings. So imagine her anxiety when she found herself having to attend prestigious, diplomatic events after her husband, Dr. Vernon Smith, received the Nobel Prize in Economic Sciences in 2002. Providing personalized classes to people of all ages, Candace teaches skills in personal interactions, the art of conversation, table manners, greetings, letter writing etiquette and more. She recently held a workshop for middle school students at the Dragonfly Shops & Gardens in Old Towne, as well as a presentation for Chapman University sorority recruiters as part of the campus Greek Life events. Teaming with Affaire de Coeur in Old Towne, Candace also conducted an in-store talk about how to handle a plate of appetizers, a glass and a napkin in your left hand while greeting people with your right hand — a common dilemma most people have experienced at cocktail parties or networking events. Although Candace has dined with kings and queens, she says knowledge of etiquette helps in all settings, whether you are out with friends, at work, shopping, attending a charity event, dining at a business lunch, or even stuck in traffic. The techniques she teaches can enhance every aspect of your life. Classes, retreats and seminars are available for individuals, groups, schools, businesses, clubs and organizations.